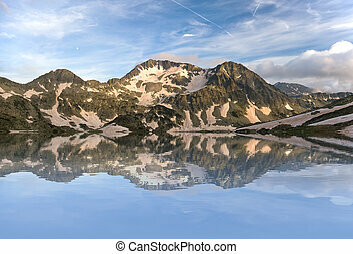 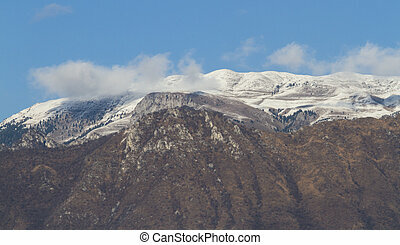 Snowy mountain panorama. 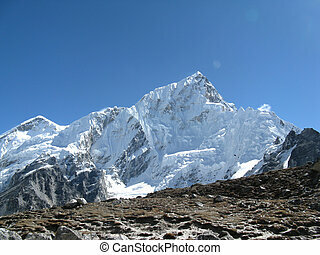 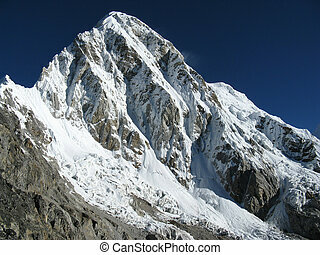 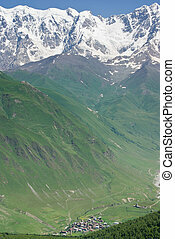 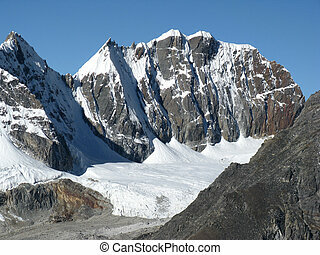 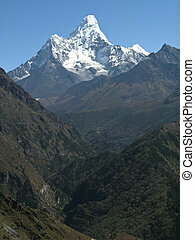 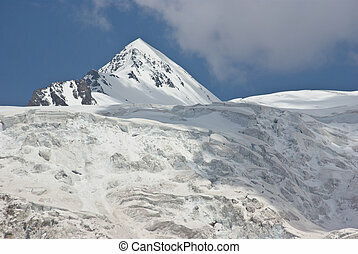 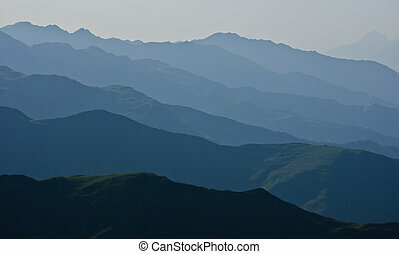 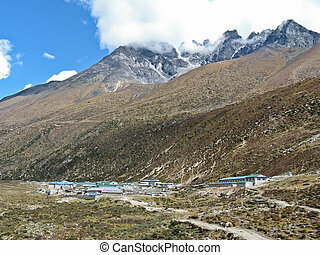 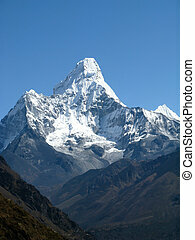 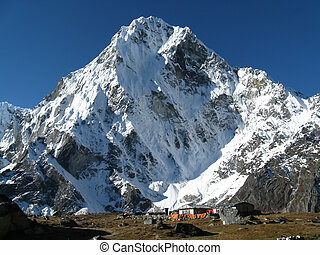 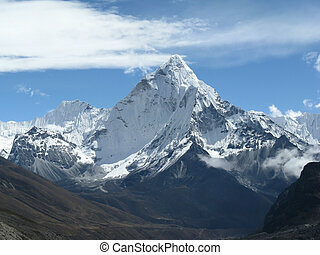 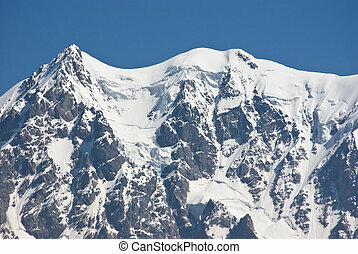 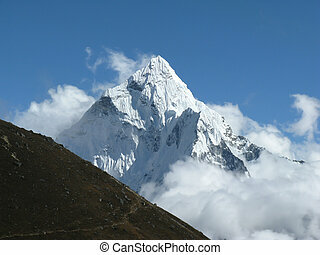 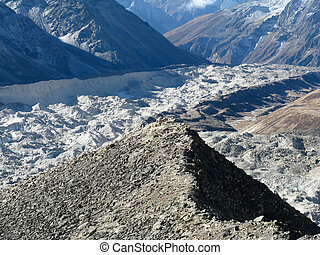 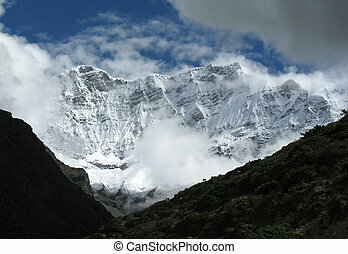 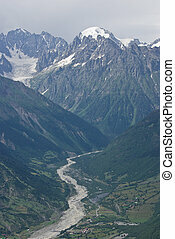 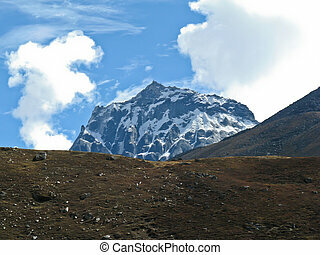 A mountain panorama fron the nepal himalaya. 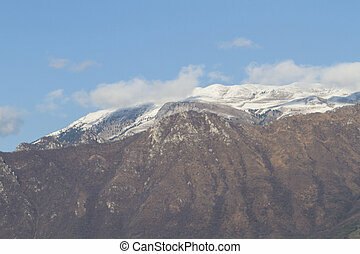 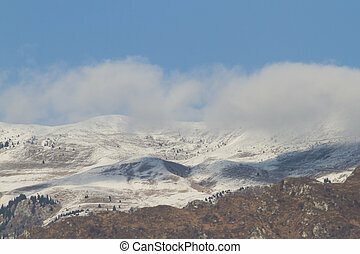 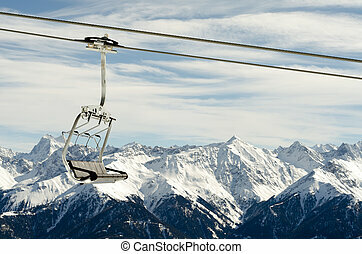 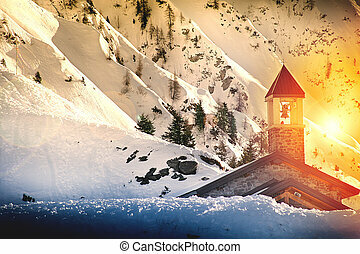 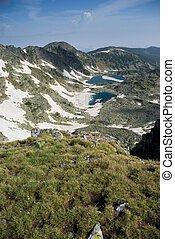 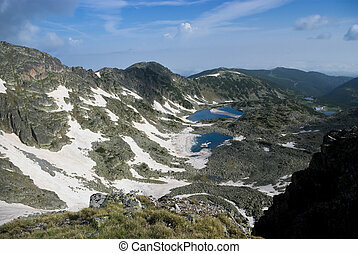 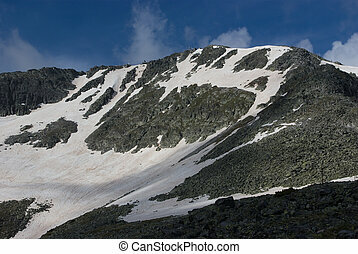 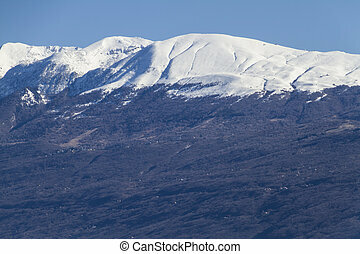 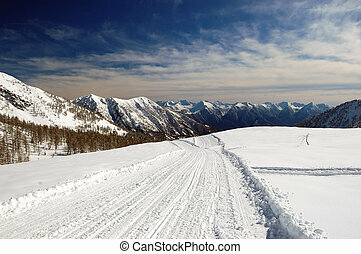 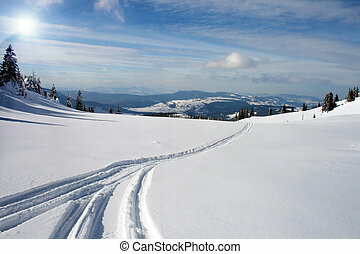 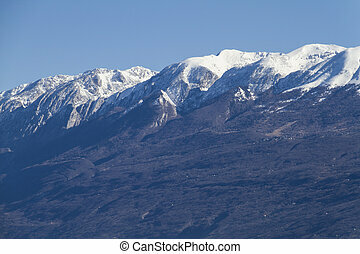 Picturesque winter snowy mountain panorama view from Skupova mountain slope, Ukraine, Carpathian. 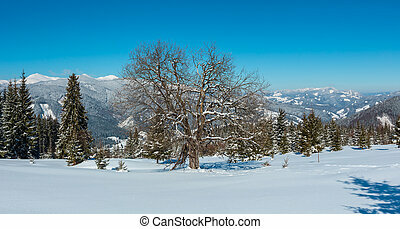 Alpine plateau garden with big fruit tree.